Hardworking and busy traveler like you have so many things to take care of when you’re on your business trip: you have to travel from one place to another, you have to attend several meetings and they’re not easy to deal with at all. Trust me, I’ve been through all the hardships myself. But the Victorinox VX Sport Cadet Backpack can be the solution to your problem. 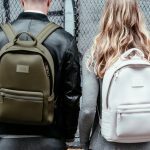 Crafted by one of the most skilled manufacturers, Victorinox, the Victorinox VX Sport Cadet Backpack is created to help business travelers and their hard lifestyle. 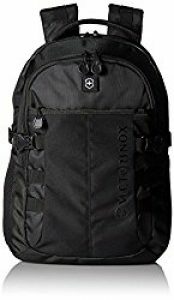 When it comes to Victorinox VX Sport Cadet Backpack, the most notable feature is the padding. It has a padded rear compartment having an anti-scratch and soft lining that can support and carry laptop up to 16” (41cm) in size. In addition to that, it has a 10” (25cm) padded convenient electronic device pocket with anti-scratch and soft lining for an eReader or tablet. The design of this backpack is really great as well, it’s definitely a suitable choice for business travelers. The interior organization consist of the file divider, and the front organizational panel having an electronic storage pocket, mesh id pocket, zippered pocket and a key fob. On the other hand, its exterior organization contains a front zippered pocket that you can have access to easily and the versatile mesh side pockets perfect for an umbrella or a water bottle. 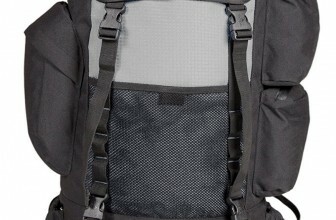 When it comes to the side compression straps, this backpack can certainly handle the weight really well. 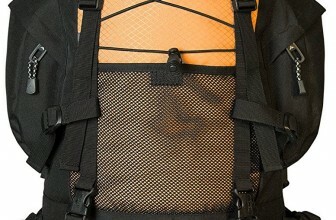 It has webbing loops on the shoulder straps where you can keep your sunglasses and other important accessories as well. In order for you to have a maximum comfort, the padded back panel has an adjustable strap so you can adjust it to fit your own body. The main color of the Victorinox VX Sport Cadet is black. 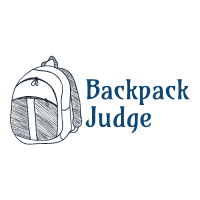 The nylon material they use is called Ballistic Nylon which is the most durable material that was used to make backpack so you don’t have to worry about this backpack durability. You can choose from a wide variety of sizes, colors and styles. Solid structured laptop and table pocket, it is not difficult to bring for longer duration of time. It has some cool hidden pockets. Perfect for a 2-4 days trip but it’s not recommended for a long term trip. 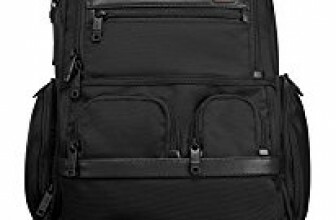 A lot of customers tried to buy this Victorinox backpack for their flights. It is said that the bag holds all the important things that they need and at the same time they have no trouble fitting under the airplane seat. You don’t need to worry about the people bumping at you since the bag is very durable, well-crafted at the same time has a lot of space for all your needs. This Victorinox bag gained 5 stars for being very functional. The majority of the customers praised the size of the bag as well as the back padding. They are very soft and it doesn’t hurt your shoulders even if you have to carry a fully loaded backpack for a long time. In addition to that, the side pockets are their lifesavers when they just want to keep their phones or bottles somewhere. What they really love is the pockets inside the Victorinox bag. The laptop sleeve has a powerful and sturdy back so whenever your bag is fully loaded, it does not put any pressure to your laptop. Victorinox recognizes that a lot of bad things can occur while you are travelling. That’s the reason why they made this durable and fashionable backpack for business travelers. Investing in a well-crafted bag like Victorinox VX Sport Cadet Backpack will surely give you peace of mind that your personal belongings will be secured wherever you go. The excellence of quality is assured, so now you can be self-assured that even years from now, you will still capable to depend on it in your next business trip.